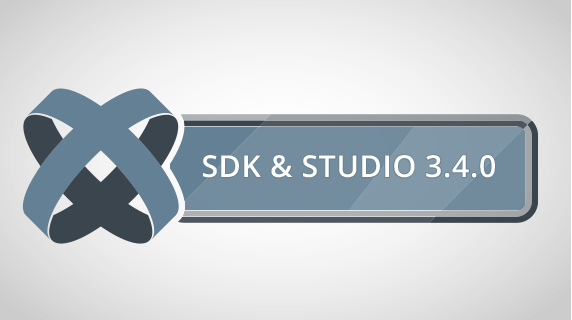 We’re pleased to announce a beta version of Titanium SDK and Studio, version 3.4.0, that offers compatibility with iOS 8. Note: You must update Studio, SDK and CLI. You cannot just install the SDK, as iOS requires tooling changes as well. A full list of 3.4.0 tickets (which include iOS 8 tickets) is available here. A more in-depth discussion of the release can be found in the release notes. There are a few known issues in this release that will be addressed before the GA. You can view them here: 3.4.0 Known Issues. Of particular note is that Xcode 6 has substantially changed how simulators are launched. This also appears to lead to some issues with projects building once, and then failing to build again. There is still a problem with this beta that has existed since 3.3.0 SDK. For an XHR HTTPClient onreadystatechange is called multiple times for the same ready state. In my App with this beta and SDK 3.3.0 using a simple HTTPClient to get the size of something ready state 4 is called multiple times and crashes my app because it eats up the threads. Thank you for your report. Is there a JIRA ticket for this issue? We were unable to locate one, but we’d be happy to take a look if you could point us to it. Will iOS6 still be the minimum SDK for production builds with 3.4.0? You may be able to target your applications to iOS 6, but it is not officially supported. Update is very buggy. My navigation windows glitch, yet the same code runs fine in lower versions of the SDK. Samie, thank you for your feedback. This is a beta, meant to expose bugs. Is there a ticket for your issue so we can try to reproduce? I have discovered another issue with this release that happened also in 3.3.0 with iOS 8. If your app uses location services, it can not access them. It will get no location. If you go into Settings > Privacy > Location Services > Your App. You will notice the Option for Always or never is blank. If you set a option and open the app it will get the location. But as soon as you go back to the location settings for the app it will be blank. This one is a big bug that needs to get fixed quickly for the next release. A little research uncovered an issue with the required Java 8.x not being compatible with Java 7.x that appears to be used in Titanium in all SDK versions (including 3.4 beta). Has there been a bug reported on this? We don’t currently have a ticket for this. Can you please file one? Also, where do you see Java 8 as required? We have a number of people already using Titanium on Yosemite, but they are not updating to Java 8. I tried filing a bug, but apparently my username doesn’t work. I’ll try uninstalling JRE 8.x and installing JRE 7.x to see if that resolves the issue, but Oracle’s website says that JRE 7.x does not work on Yosemite. Another follow-up: JRE 7.x won’t install on Yosemite because it requires at least OS X 10.7.3, and it considers 10.10 to be a smaller number, due to the decimal point. We reinstalled Titanium Studio, and it did not resolve the issue. Thanks. We filed a ticket for you here: https://jira.appcelerator.org/browse/TISTUD-6915 and we need a bit more information. Could you assist? I have run the command that was posted here: https://jira.appcelerator.org/browse/TISTUD-6915. How would you like me to show you the results from that command? You should be able to attach a .txt log file. Otherwise, just paste it in a comment and we can pull it over. Pasted it into a comment. Thanks again for all the help! Requires a minimum version of Java? You should be able to use Java 1.6 or later on OSX. Hi , I have downloaded the latest Xcode 6 . Installed the titanium SDK 3.4.0 beta. Please see the comment at the link you posted. You have a mismatched configuration. It is possibile to have BOTH ios7 AND ios8 sdk at the same time? but works good with android! “An internal error occurred during: “Computing SDK Info…”. error whenever I start Titanium. I am using OS X 10.9.5, Xcode is completely up to date, and I am also unable to run the iOS simulator for any of my projects. You have double-checked on the command line that a 3.4.0 version of the SDK is marked as “selected” using ti select sdk on the command line. I tried update using Titanium Studio and through the terminal using the sodu titanium sdk install, as well as downloading SDK package on the device and update without Internet. But this error keeps popping up. I would suggest asking a question on developer.appcelerator.com. I think we need the full log file to help diagnose.